Here we go . 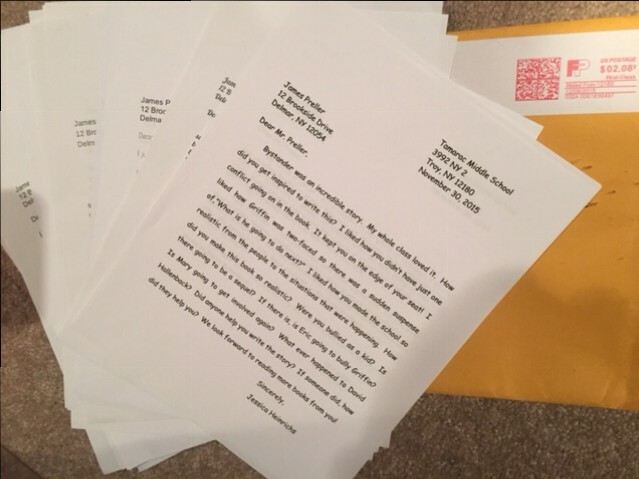 . . my 10th year of sharing a small selection of my fan mail on the interwebs. An honor I never take for granted. 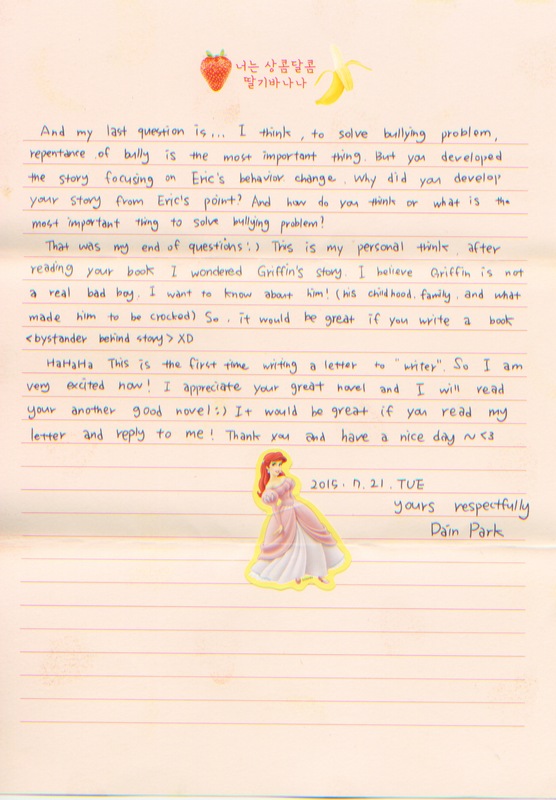 Thank you for your impressive, typed, two-page letter. It’s nice to hear from a reader on Long Island, my old stomping grounds. I was born in Wantagh, emptied garbage cans at Jones Beach, road my bicycle to the mall, and, yes, even hung out at President Nixon’s dog’s grave near my high school. My mom, age 91 (long, slow clap for that! ), lives out in Greenport on the North Fork. Wine country, I guess. So I still find myself out there, though I now live in upstate. I’ve been to Commack, and not just to drive past (though, yes, I confess: mostly that). I vaguely remember doing a school visit out there at some point. It all tends to blur. So we have that in common, the Island and good bagels. Anyway, I’m glad that Bystander made you reflect a little bit on your own life. I agree with your thoughts about social media, how bullying is actually more subtle, less obvious than what we (typically) see in movies, i.e., the big dumb kid shoving someone into a locker. 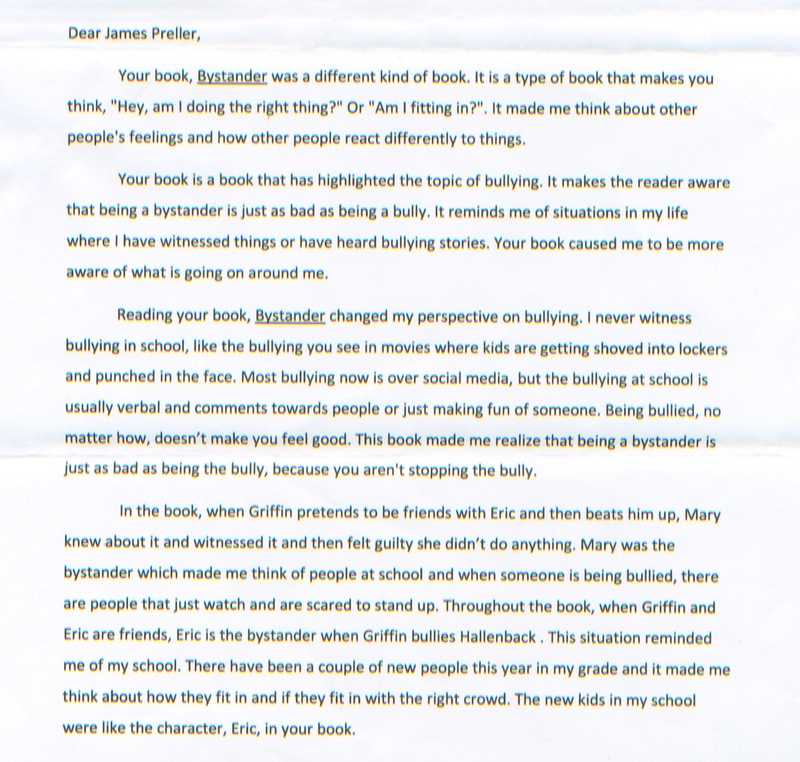 I feel there are endless ways of writing about bullying, a million stories to tell. No book can hope to say it all. I sometimes think that Mary was the secret hero of Bystander, though I suspect her story is under-written; it mostly takes place offstage. For better and for worse, I decided to focus primarily on Eric. When a book or movie can get us to think, to make connections, to become aware, that’s a very good thing. That’s art, right? The movie you see and keep wondering about days later. The poem that makes us shut to book and gaze out the window, wondering. Ultimately, I tried to write a good, fast-paced, involving story. The rest is up to you. Here’s a letter with a familiar request, but it’s written in such a way that I’m forced to rethink my standard answer. Maybe Rowan is right. 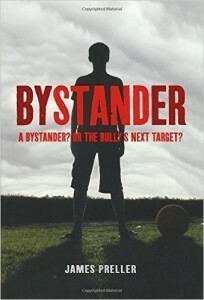 Maybe there should be a sequel to Bystander. Hello. My name is Rowan and I am a 7th grader at ______ Middle School. 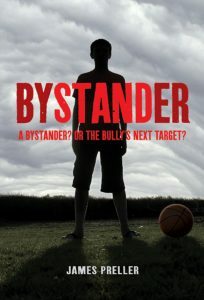 Our school recently read Bystander for our Community Read, and I LOVED it! 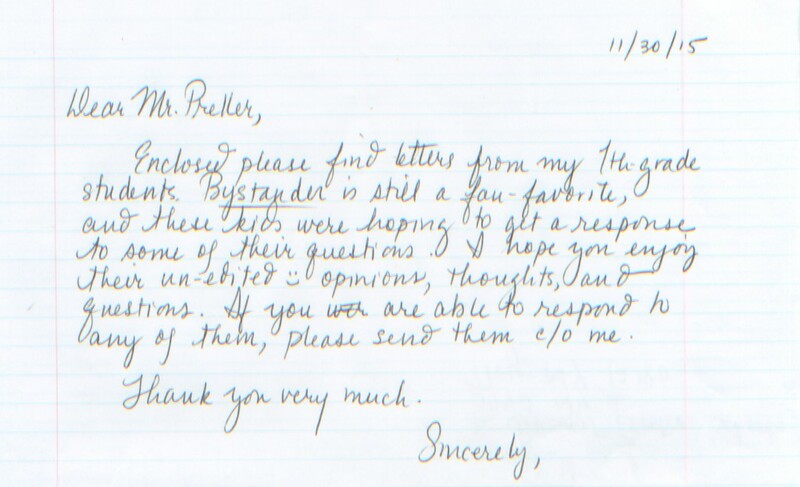 I have read some of your fan mail on your website, and have noticed that many people have requested a sequel. Although this might not have been your original intent, I know that many people would enjoy it. I was very saddened to find out that there wasn’t a sequel, because I would really love to know more about the characters. Mary and Cody in particular. The way the book ended just left you wanting more. Even if you are not interested in a second Bystander, I would love it if you would reply with possible ideas for the second book. Thank you for your time. I appreciate your thoughts on a sequel. And you are right. Though a sequel wasn’t my original intent, maybe it is something I should consider more seriously. My bias against sequels is that so many seem like a crass money grab, where the only motivation is to cash in on the popularity of the original. There’s got to be a better reason than that. 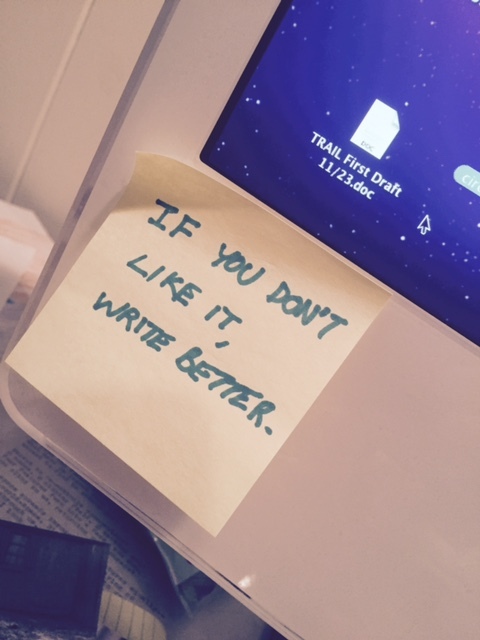 Writing a book is a huge commitment, a lot of time & energy goes into it, you more or less live with the thing for months, and I need a deeper reason to sustain that kind of “all in” focus. Though, hey, don’t get me wrong. Money is important, I have bills just like everybody else (and two more kids to get through college). I’m not above money — or donations if you’ve got any to spare! Anyway, okay, I will sincerely give it more thought. I think you are perceptive, in that I slammed that door shut without ever seriously giving the idea a serious chance. I used to answer that if I did go back to a sequel, I’d want to tell it from the bully’s POV (point of view). Because I don’t like slapping that label on anybody. We all wear many hats, “I contain multitudes,” as Walt Whitman said. Nobody is just a bully, just a target. So I felt there was potential for a story there, bringing out the complex dimensions in a seemingly shallow, unlikable character. However, I feel like I did that in The Fall, which I hope you’ll take a look at. In some respects, I see it as a companion book to Bystander, or at least a complementary read. I take the so-called bully’s POV, and the story is revealed entirely through his journal entries. 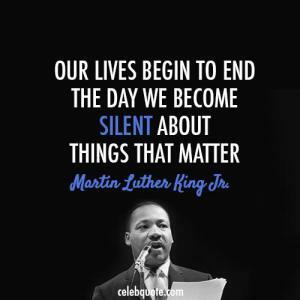 But back to Bystander: You are right — again! — about Mary. I think her story is under-developed. Much of what happens with her is off-stage, as the expression goes. We hear about it, but don’t witness it. At the time, I chose to hone close to Eric and his perceptions. I’m also glad to hear you mention Cody. In fact, I believe that Mary and Cody are the two characters who change the most over the course of the book; you can see their growth; in that respect, they are the most interesting. As readers, it’s always good to look for that, the areas of change and transformation. Cody surprised me. When I started the book, I didn’t intend for him to go off in that direction. I will say that I don’t mind it when readers half-complain that the ending to a book left them “wanting more.” It sure beats the alternative! I like movies that keep me thinking days and weeks and months after I see them. Good stories should trouble our minds that way. You want the story to live on in the mind of the reader/viewer. If it all gets wrapped up too completely, like a seal box, there’s no room for rumination. It’s best to leave some windows open. I promise to open my heart to the idea of a sequel. If you have ideas, I’m all ears. I pay $6 — American cash money! — for any truly amazing idea. After royalties, of course. Thought: Maybe there’s a degree of fear involved in all this? 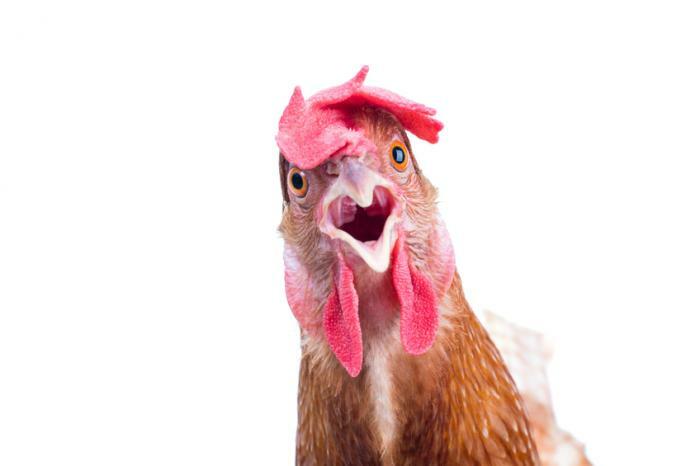 Maybe I’m just chicken? 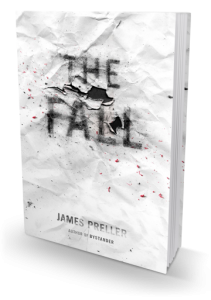 I wrote a good book that people seem to like. I don’t want to mess that up. I wonder if my publisher would want one? We’ve never seriously discussed it. 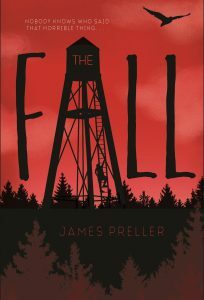 I was recently directed to a very impressive blog named Xpresso Reads, and happily discovered a positive review by Amy of my upcoming book, The Fall (September). 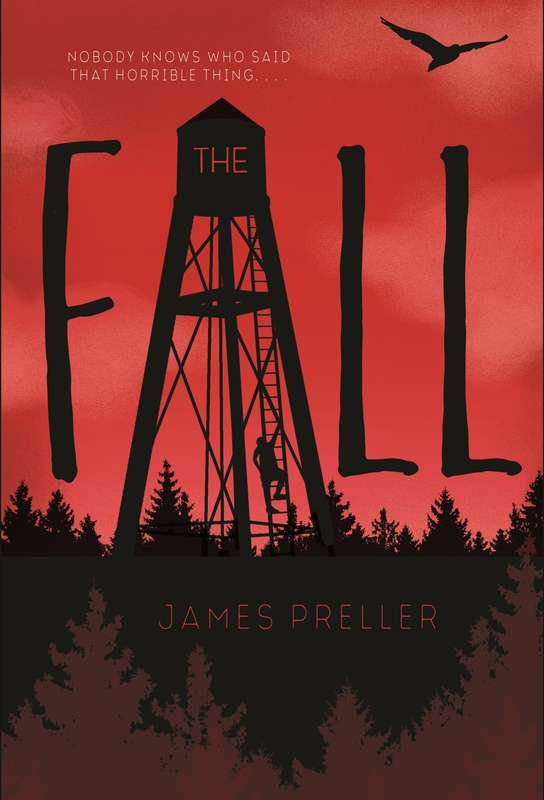 I encourage you to click madly right here to grok the review in fullness. 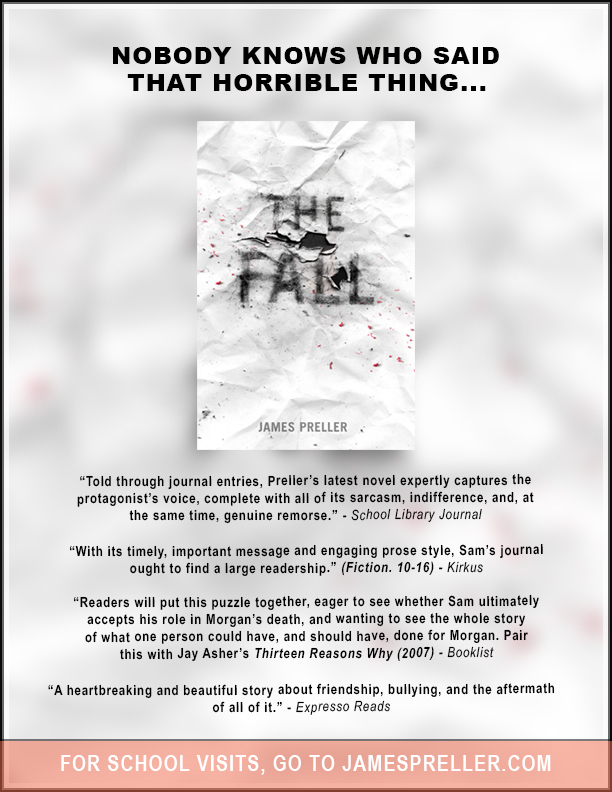 Footnote: In the comments section, I came across a number of readers who mentioned the plethora of books these days about suicide and bullying. I felt compelled to add my thoughts to that discussion, and I might as well share them here. Hi, Amy. 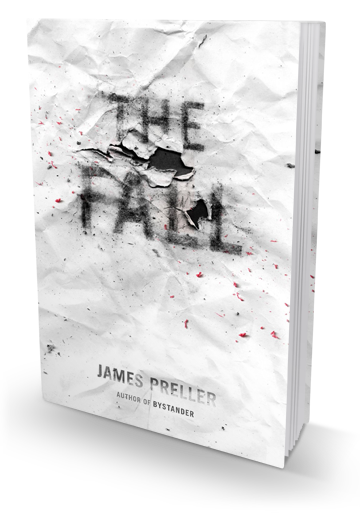 Thank you for the thoughtful review of my book, THE FALL. Just a little background here. When I wrote BYSTANDER in 2009, it was the right book at the right time — just before the issue blew up on the national media and the politicians got involved. Funding in schools, educators forced to address the issue, etc. To my surprise, I had stumbled upon an “it” topic. In my visits to schools around the country, I was often asked about a sequel. I had no plans for one, not wired that way. But a few things started to happen in my mind. 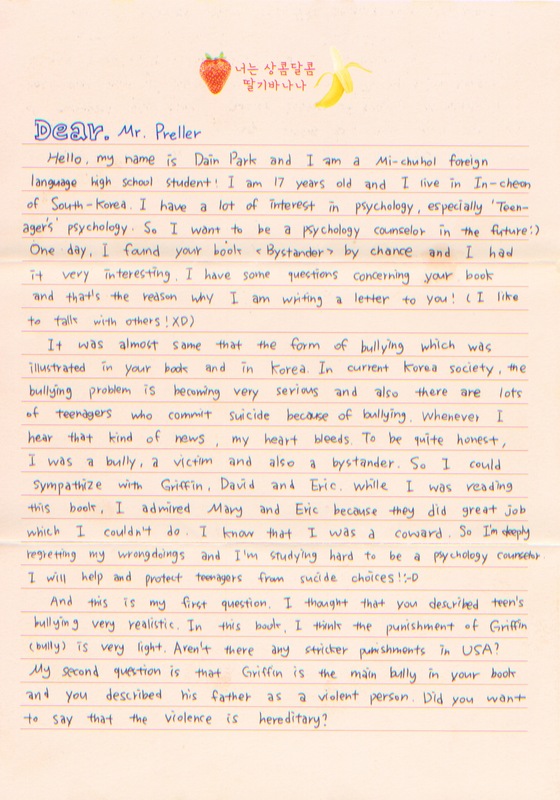 One, I saw the vilification of “the bully” and it didn’t easily jive with my perceptions. In most cases, I don’t actually believe in “the bully” per say; I understand “bullying” as a verb, a behavior, rather than as a label to stick on young person. So I began to think that if I ever approached the topic again, that’s where I wanted to go — from the perspective of a so-called bully. I wanted to write about it with sympathy and compassion, rather than finger-pointing and easy admonition. At the same time, I read some heartbreaking news reports about suicides, children who had been abused on social media, and so on. That’s how I came to write this book. It is uncomfortable for me to feel like this book is part of a tidal wave of books on the topic. That’s never been how I’ve operated my career. My hope is that the first-person journal format brings something fresh and vital to the conversation. Again, thank you for reading the book.